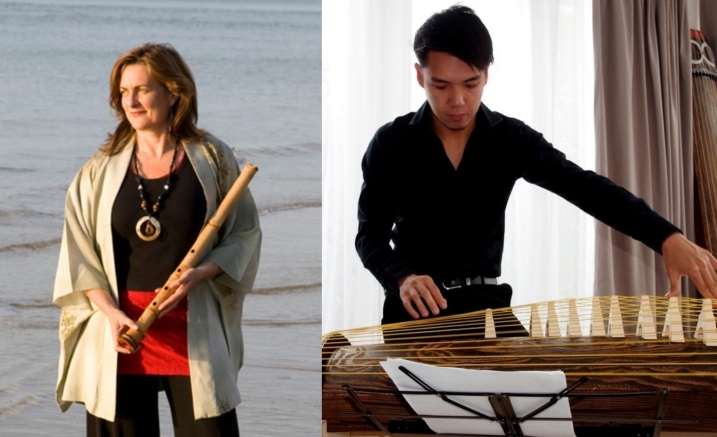 Shakuhachi player Anne Norman is internationally renowned as a player, composer and highly imaginative producer of adventurous Japanese themed performances. The Way of The Flower is a collaboration between Anne, koto player Brandon Lee, and ikebana master Shoso Shimbo, who will transform the Primrose Potter Salon with an ikebana (living flowers) installation. Purchase The Boite three-concert package and save!